Joseph Rencis will begin his post as the dean of the College of Engineering on Aug. 31. Cal Poly Pomona’s College of Engineering has a new dean. Joseph Rencis, dean of engineering at Tennessee Tech University, is expected to join the university on August 31. He also holds the inaugural Clay N. Hixson Chair for Engineering Leadership. The immediate past president of the American Society of Engineering Education (ASEE) also launched a college-wide effort for the recruitment of undergraduate, transfer and graduate students with a focus on quality and diversity; created a bachelor’s degree program in engineering technology; partnered with industry and government agencies through off-campus undergraduate and graduate programs; and established a college-wide Student Success Center for undergraduates focused on recruitment, retention and recognition. 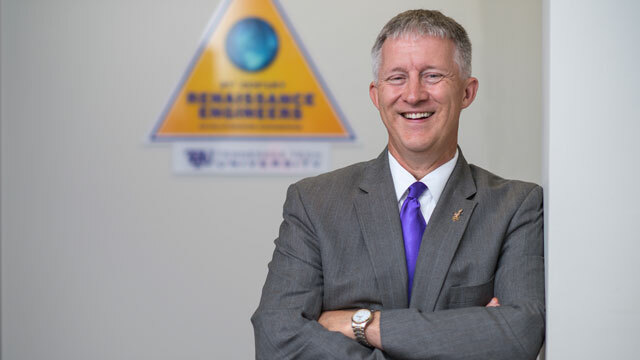 Before his tenure at Tennessee Tech, Rencis served as the department head and professor of mechanical engineering at the University of Arkansas at Fayetteville from 2004 to 2010. He was the inaugural holder of the Twenty-first Century Leadership Chair in mechanical engineering as well. He began teaching at Worcester Polytechnic Institute in Worcester, Massachusetts in 1985. From 1995 to 2004, he served as the mechanics director in the mechanical engineering department at the university. At WPI humanities and arts along with team-based project learning are integral to the undergraduate experience. Rencis earned an associate’s and bachelor’s degree in architectural and building construction engineering technology from the Milwaukee School of Engineering. MSOE offers an undergraduate experience that is team-, project-, and laboratory-based. He earned a master’s from Northwestern University in civil engineering and a doctorate in the same field of study from Case Western University. He has published more than 35 journal articles and 110 conference articles in the course of his career. Rencis has reviewed bachelor’s degree programs as an Accreditation Board for Engineering and Technology evaluator and been an external evaluator for master’s and doctoral programs. His teaching has been recognized with the ASEE Northeast Section Teacher of the Year and the ASEE Mechanics Division Archie Higdon Distinguished Educator Award. His leadership has been recognized by the ASEE New England Section Outstanding Leader Award, the ASEE Mechanics Division James L. Meriam Service Award and the ASEE Midwest Section Outstanding Service Award.